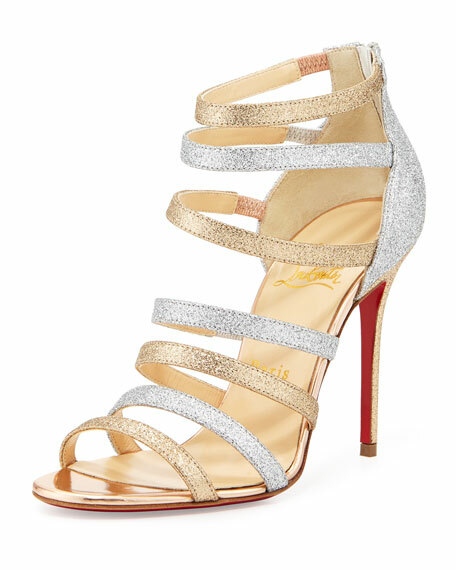 We're star struck over this statement-worthy glitter bootie/sandal from Christian Louboutin. Christian Louboutin "Mariniere" cage bootie. 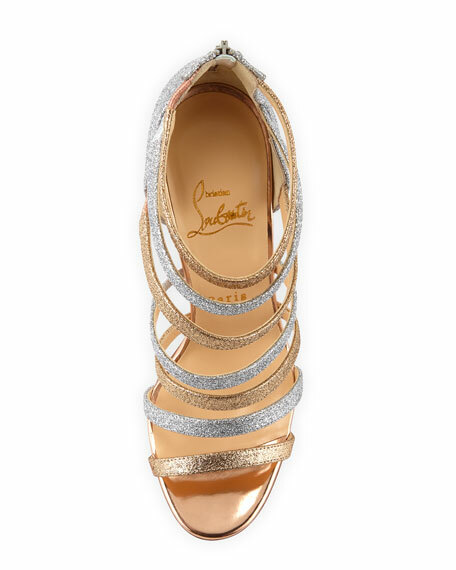 Two-tone glitter straps form vamp. Open toe with metallic leather toe bed. "Mariniere" is made in Italy.